You can save from 10% to 85% on the cost of both brand name and generic prescriptions immediately. There are no claim forms to fill out and no limits to the number of times you or your family can use the card. Medicare drug discounts are available only at participating pharmacies. 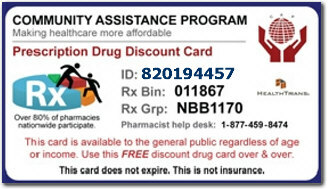 The Pharmacy Discount Program provides discounts for its members at certain participating pharmacies for drugs and other healthcare supplies. You can also save on smoking cessation aids and diabetes supplies. These savings are based on the fact that we have over 56,000 pharmacies processing millions of prescriptions annually. For all others, the standard Medicare Part B monthly premium will be $115.40 in 2018, which is a 4.4% increase over the 2018 premium. The Medicare Part B premium is increasing in 2018 due to possible increases in Part B costs. If your income is above $85,000 (single) or $170,000 (married couple), then your Medicare Part B premium may be higher than $115.40 per month. Social Security will use the income reported two years ago on your IRS income tax return to determine your premium (if unavailable, SSA will use income from three years ago). For example, the income reported on your 2009 tax return will be used to determine your monthly Part B premium in 2018. If your income has decreased since 2009, you can ask that the income from a more recent tax year be used to determine your premium, but you must meet certain criteria. Most people do not pay a monthly Part A premium because they or a spouse has 40 or more quarters of Medicare-covered employment. The Part A premium is $254.00 per month for people having 30-39 quarters of Medicare-covered employment. The Part A premium is $461.00 per month for people who are not otherwise eligible for premium-free hospital insurance and have less than 30 quarters of Medicare-covered employment. Most beneficiaries will continue to pay the same $96.40 premium amount in 2018. Beneficiaries who currently have the Social Security Administration (SSA) withhold their Part B premium and have incomes of $85,000 or less (or $170,000 or less for joint filers) will not have an increase in their Part B premium in 2018. For all others, the standard Medicare Part B monthly premium will be $110.50 in 2018, which is a 15% increase over the 2009 premium. The Medicare Part B premium is increasing in 2018 due to possible increases in Part B costs. If your income is above $85,000 (single) or $170,000 (married couple), then your Medicare Part B premium may be higher than $110.50 per month. For additional details, see the FAQ titled: "2018 Part B Premium Amounts for Persons with Higher Income Levels". 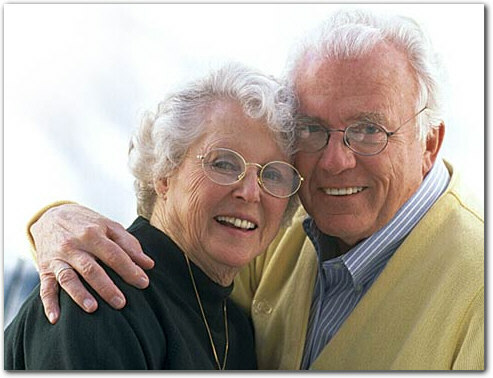 Part A: (pays for inpatient hospital, skilled nursing facility, and some home health care) For each benefit period Medicare pays all covered costs except the Medicare Part A deductible (2018 = $1,100) during the first 60 days and coinsurance amounts for hospital stays that last beyond 60 days and no more than 150 days. A total of $1,100 for a hospital stay of 1-60 days. $275 per day for days 61-90 of a hospital stay. $550 per day for days 91-150 of a hospital stay (Lifetime Reserve Days). $137.50 per day for days 21 through 100 each benefit period. Additional information about the Medicare premiums, deductibles, and coinsurance rates for 2018 is available in the October 16, 2009 Fact Sheet titled, "CMS Announces Medicare Premiums, Deductibles for 2018" on the www.cms.gov website. For more information and to find publication copies visit www.socialsecurity.gov or call toll-free, 1-800-772-1213 (for the deaf or hard of hearing, call our TTY number, 1-800-325-0778). They can answer specific questions from 7 a.m. to 7 p.m., Monday through Friday including an automated phone service 24 hours a day. Calls are treated confidentially. They will make sure you receive accurate and courteous service by having a second Social Security representative monitor some telephone calls. To protect your personal information and prevent identity theft, they cannot issue Social Security numbers or cards online. 2019-04-23T10:08:25+00:00 Harbor City - Los Angeles, California.